Our Single Hop IPA series uses a balanced malt base in every version, allowing you to experience each hop singularly; exploring its unique aromas, flavors, and bitterness. A new experimental developed by John I. Haas and Brulotte Farms in the Yakima Valley. It is big and bold with a fruit-forward character that also offers clean bittering (13 – 15% AA). BRU-1 has a high Myrcene oil content that makes up over 50% of the total oil and contributes aromas of pineapple and stone fruit that is backed by a soft spice. Our Single Hop IPA series supports our Pints For A Purpose Program, this quarter’s non-profit is the SMART Reader. 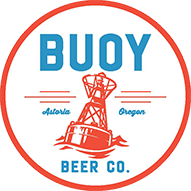 This program donates $1 for every pint of Single Hop IPA sold in our Astoria Brewery.